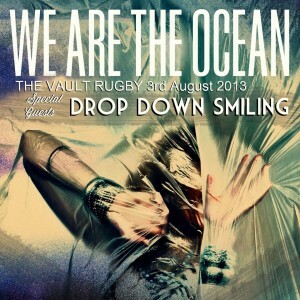 Saturday 3rd August DDS will be supporting “We Are The Ocean”!- We are all big fans of the band and so to share the stage with them for a second time in 2013 is a real pleasure, we hope you can come and join us on what is set to be a very special night. See you at the front! Copyright 2013 Drop Down Smiling. All Rights Reserved.TBFM Internet Radio.